Thanks to the spaciousness of the NZXT Manta (relative to other mini-ITX chassis) installation of the core components was fairly straightforward. However, the EK-XLC Predator is a bulky beast and only fits one way in the Manta without modification of the chassis (front panel only, oriented with pump/res on top and fans facing out). Another wrinkle I ran into was that the 90-degree adapters used for the spans of the custom loop between the GTX 970 block and the Predator unit itself come a bit close to the PSU shroud. Thanks for reading and keep on building! Piece of Art! Though its rather overkill to watercool a 970, but, hey! It's GORGEOUS! Hey, now that you mention it, what's your temps? Idles at 30C and goes up to around 50C under load. This is with GTX 970 at stock and i5-6600K at 4.3, nothing too crazy and being cooled by the 240mm radiator that the EK-XLC Predator uses (I believe it's equivalent to the EK-CoolStream PE?). Amazing build!!! Just wondering how you got the ASUS ROG logo on the side of the case??? That is not a great way to cool the GPU but whatever works. 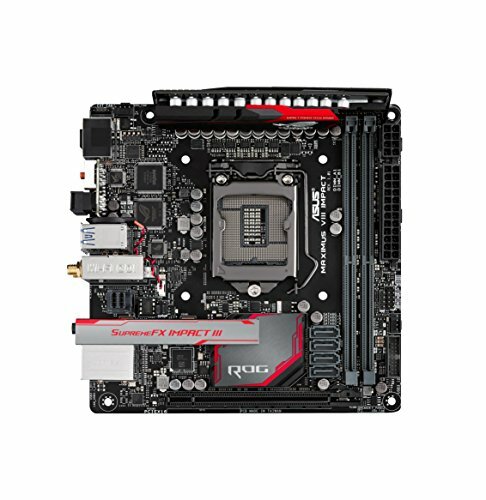 The link to the ROG block is in the part list. Phillip also posted it. Very nice rig! Excellent moding. Yes description and add the pictures from your link into the post. I'll give it a shot, but the upload kept choking on a few of my pics... (hence why I handpicked a few that worked and used an imgur link for full build album). Ahhhhhhh I see what you did there. Will you be buying one? Will you do a custom loop??? I belive if you post the pictures and not just the imagur link your build will be featured. If you don't mind me asking, why the decision to watercool instead of going for better hardware (6700K & 980 Ti) and use the X31 (or even a x61) and that fully liquid cooled Gigabyte 980 Ti. Your build looks awesome but if I was trying to be VR ready I wouldn't be looking at only buying the minimum spec for the gpu. I love it! How'd you get the logo? I'm really impressed by this small form factor water-cooled build. Wondering what the dimensions on that case are now, I'll have to check it out. That's a really sleek and clean design with a cool theme to boot. Fantastic work my friend. Looking forward to seeing more from You in the future. Great build! I am following your lead now, thank you. I have one question. Did you leave the fans alone in the 240? In other words, are you pulling air from inside the case and exhausting it out the front? I've read that some people like to pull cold air in over a front mounted radiator and let the slightly warmed air flow inside. Which is preferred? If your top fans are exhaust and your front radiator fans are exhaust... is your only intake fan the one on the back of the manta? That ROG logo look so sick. D: Seriously, is it paint? What kind of paint? I need to know! Did you have trouble fitting the radiator in? Great build, I love the simplicity of it. However, I would like to know how you filled in the extra fluid needed for your loop with the Predator 240. I might go this route too if I plan to build in a Manta, because it's tricky to fit a reservoir in there. Maybe add another 120 rad in the back or 240 top. AIO water cooling solution is genius for the Manta. OMG!! !How did you paint your case???!!!??? Hey man. Build looks great! I'm looking into getting the ek predator 240 for my mantua. 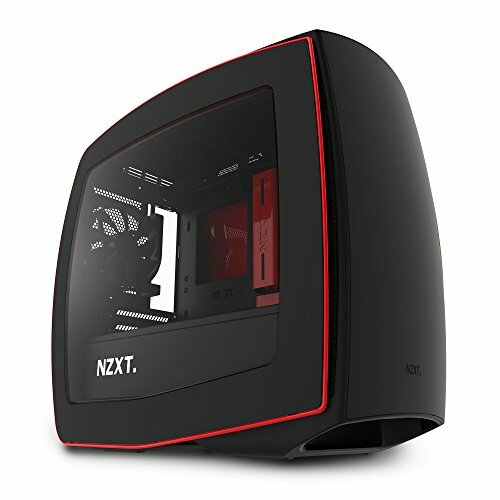 Any idea if the pump and reservoir can be moved in a way to allow the rad to mount flush to the case? That would allow me to put push fans on the outside front, and pull fans inside. Thanks! Just testing out the Formatting, +1 for a nice build! Custom ROG block was purchased at Performance PC's. Link in part list.